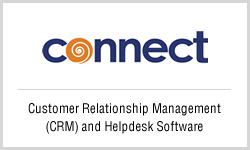 Customer Relationship Management (Connect) is a secure web-based tool that assists organizations to automate their sales process and generate quality leads. It facilitates to collect, collate & process essential information about customers from its various channels at any time and build customer satisfaction. With this helpdesk software you can effectively track all sales opportunity related information further ensure timely follow-up with your prospects / customers & increase order closures. To know about the functional areas, key features and benefits. 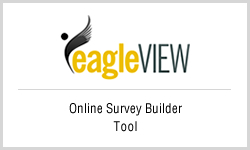 Survey Builder & Poll Management Software (EagleView) is a web based, mobile enabled tool created to conduct online surveys. This research tool of ANGLER assists organization to prepare customized questionnaire & effortlessly survey patrons across the globe. It is a comprehensive online tool that increase response rate tremendously. It empowers organizations to get the feedback with less human interventions. Real time statistical data reports generated guides officials in decision making. To know more information on its sunctionality, features, advantages and applications. 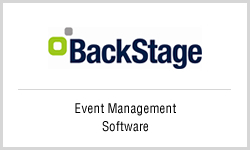 We offer Event Management Software (Backstage) for organizations to effectively plan and execute events perfectly. Its unique features allow organizations to automate the event planning and scheduling activity. Backstage serves clients by facilitating them to view the various events scheduled and make registrations / payments online. This event management tool will facilitate companies to analyze the registrations and generate several report such as registration and payments for particular event, event income across all events. To know more information on its modules, features, advantages and applications.